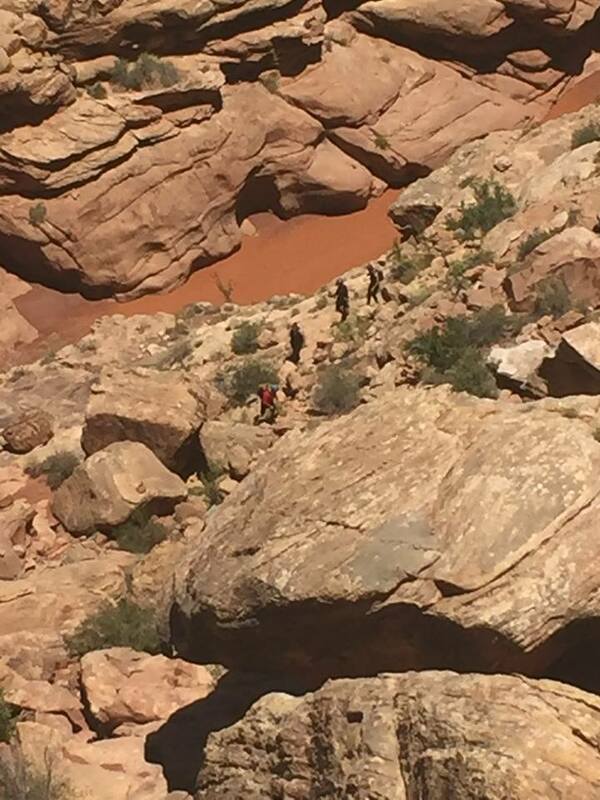 ST. GEORGE — Search and rescue crews spent the night on the edge of a cliff in San Juan County over the weekend in order to rescue four hikers Sunday morning who had become stuck in a maze of sculpted sandstone narrows. 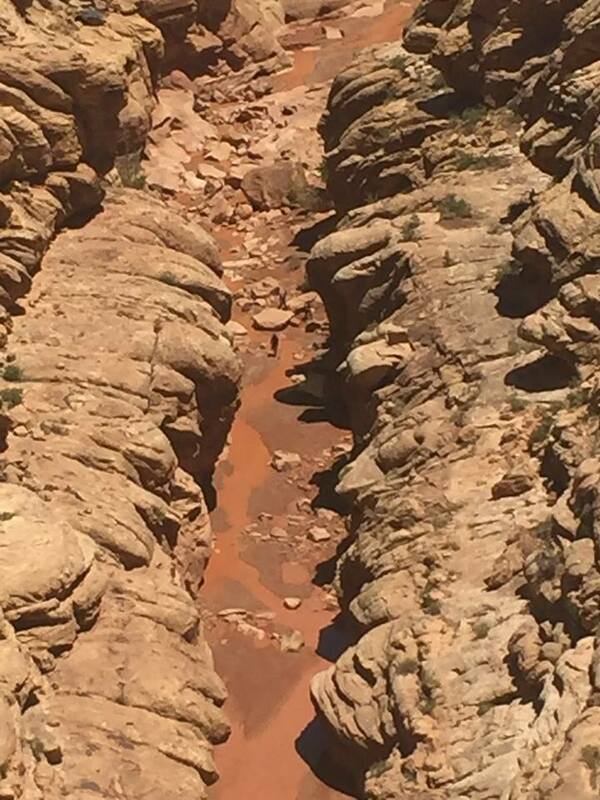 Officials continue to remind hikers to use caution when entering slot canyons during the rainy season. 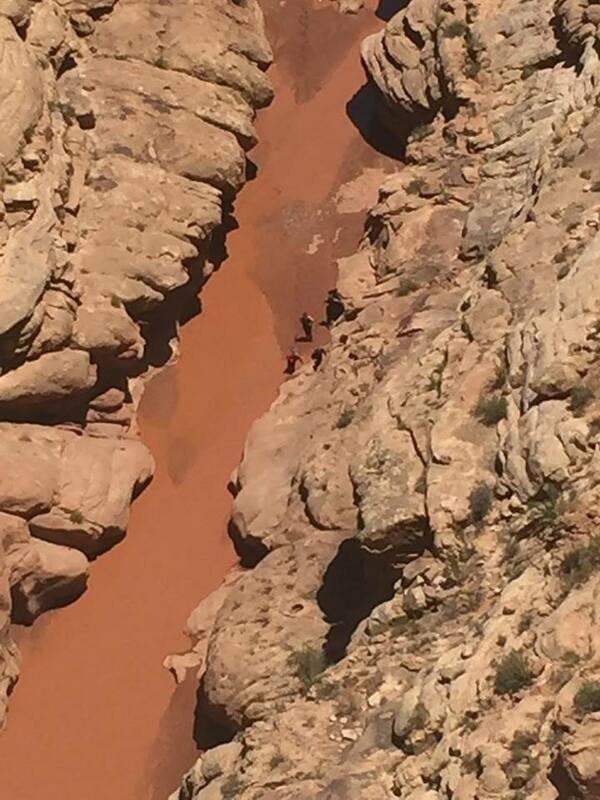 After more than 20 hours, San Juan County Search and Rescue successfully rescued four people who were reportedly stuck in the Black Hole in the remote White Canyon, San Juan County Sheriff’s officials said in a statement Sunday night. Rescue crews spent Saturday night on a ledge before rapelling down to the victims Sunday morning. 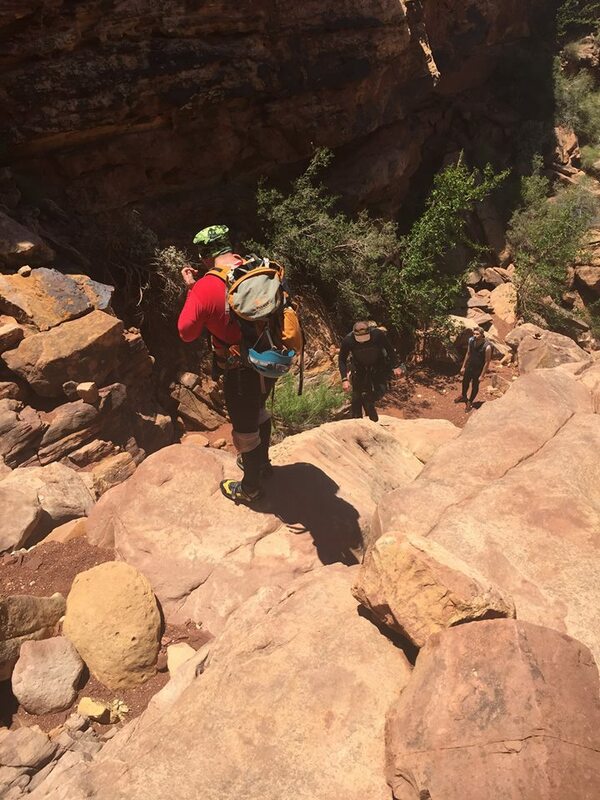 Rescuers hoisted two injured victims up a 600-yard canyon, according to the Sheriff’s Office, while additional rescue crews walked two other hikers out the bottom of the canyon. While crews were reportedly exhausted by the end of the day, officials said it was another successful mission and thanked those involved for their hard work and dedication. The Sheriff’s Office also reminds visitors to the area to use extra caution as flooding through the canyons is oftentimes unpredictable. Search and rescue get my respect.